Seed to Table is a book of organic, seasonal recipes. Proceeds help fund urban micro-farmers in Cape Town, South Africa. Seed to Table is the cookbook that grew out of a relationship between three farmers of Abalimi Bezekhaya — Nomzamo Gertrude Cuba, Vatiswa Dunjana and Nomkhita Gertrude Sotsonga — and three Rotary International Exchange Students — Erin Koepke, Abby Elsener and Toni Marraccini. 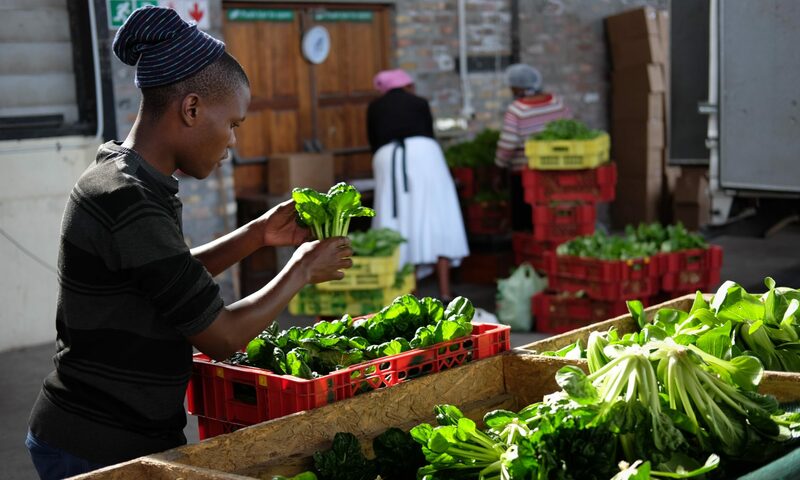 When Erin, Abby and Toni set out to collect recipes for Abalimi Bezekhaya, their goal was to ensure their organic micro-farms could continue to plant the seeds of hope in Cape Town, South Africa. With every passing season, though, their mission to document food as both sustenance and celebration brought more people to the table, each with a recipe to cook and a lesson to share. Seed to Table is the story of powerful bonds that were created when people came together to redefine the tradition of harvest.